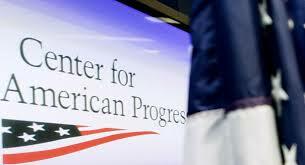 New Orleans The Center for American Progress in Washington issued a report recently on the distribution of teachers within public schools which was deeply disturbing, even if not surprising. At the bottom line they found that public schools in high poverty areas were three times as likely to have teachers ranked as ineffective, and in public schools where there were greater percentages of minorities, teachers were two times as likely to be ineffective. Essentially, that says that public school administrators are allowing the gaps between rich and poor, white and non-white to create great systematic, permanent gaps in our populations, particularly in our cities. Most of CAP’s research data comes from a close examination of teacher distribution data from those states that collect such data as a requirement of the No Child Left Behind legislation dating from the Bush Administration. All districts were required to reach a goal of having high quality teachers, or HQTs as they are called, by this point. Sadly, the distribution of teachers still seems solidly skewed away from poor and minority schools that arguably most need the best teachers available in public schools, since the one thing that virtually all educational experts agree on is that good teachers are the single most important factor in creating the best educational outcomes. Twenty-eight states submitted data requested, which is a poor showing, and, worse, only seven states submitted plans that were rated “acceptable” by the Department of Education. Furthermore most of the states would be graded as “incompletes.” The ones that fessed up did so for the most part in 2006 and though some reported modified plans in some in subsequent years, for the most part, most states just stopped coming to school on these standards. In a poorer and more minority district, you are more likely still to have unlicensed teachers and teachers who are teaching outside their areas of expertise. Not surprisingly teacher turnover is closer to 20% in such schools compared to single digit numbers in whiter, richer schools, all of which sentences students to poorer performance and reduced opportunity. In this regard the CAP study builds on years of similar studies, like those that ACORN produced on educational “apartheid” in New York City and other districts, and documents the depressing lack of fundamental progress in creating educational equity in public schools. The CAP report puts a game face on the numbers and correctly argues that there has been progress in teacher distribution, just not enough. For my money, it’s a scandal to think that lower income and minority schools continue to fall behind and that higher income schools are picking their pockets at the state and local level, by perverting the formulas for distribution of Title 1 monies from their intended sources, while saddling them with the worst teachers to boot. This entry was posted in Citizen Wealth, Education, Financial Justice and tagged Center for American Progress, minority schools, No Child Left Behind, poor schools, public school, teachers by Wade. Bookmark the permalink. The reformers frame the issue in terms of failing schools, which is code for failing teachers and blaming teachers for the failure, at the same time that they’re doing everything they can to destroy public education and undercut the teachers union by advocating for expansion of Teach for America, doing away with seniority, and imposition of work rules. And while there is no doubt that the least experienced teachers end up in the most difficult to teach schools, its really a resource question-if poor schools we’re equitably resourced with things like bonus pay for teaching in such high povery schools, not to mention enough funding to insure a full time school nurse, a librarian, music and art teachers, books and paper, etc (all things that are currently missing in many Philadelphia Schools) its much more likely experienced teachers would teach there. With many top Democrats, starting with Obama and Duncan, on the wrong side of this issue, there needs to be a national strategy to start to make D’s that back the reformer agenda pay for their sell out. And then we need to get serious about making a solid public education available to every child in this country.